Sushi, Turtles and Life: Ale & Cider Festival, Martins Jerked Meat! 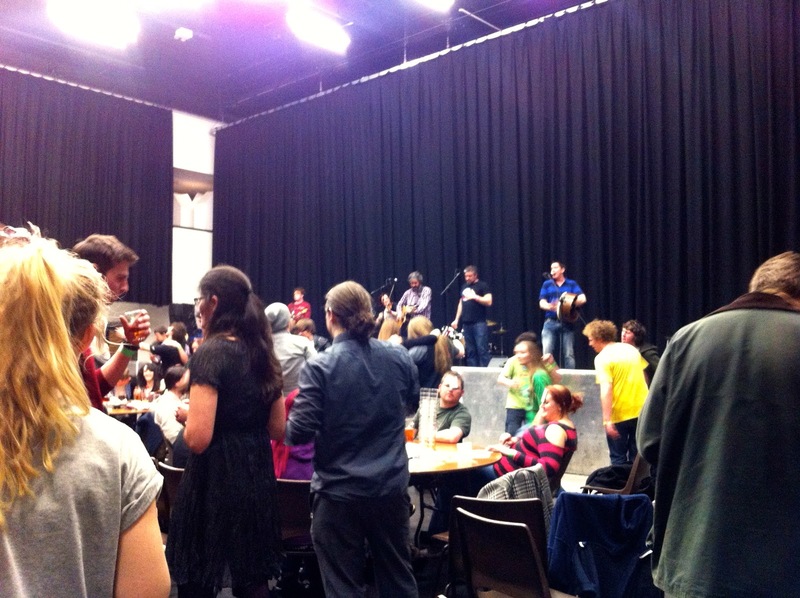 So, the plan was just a casual drink until we realised that the Ale & Cider society had a festival going on in the students union. Obviously how could we turn it down? For £10 at the entrance you get your entry, a free pint glass and 5 tickets for drinks of your choice. Which was amazing because they had everything! Mead, Wine, Ale, Cider and luckily for me an Ale that was more like a larger, I need the fizz. It was such a good experience, a huge change from the usual drinking scene with glammed up girls and scouting boys. It was just a very chilled out atmosphere, with a folk band on stage and everyone just having a good time, drinking and laughing. Amazing way to spend a Thursday night. So taking a look around all the fabulous booze which, there were loads. We found the only food stall within the hall. 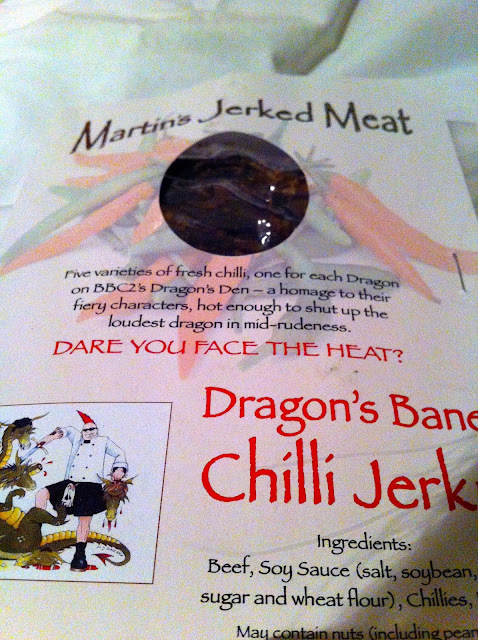 Martins Jerked Meats. The stall well more table looked amazing, with the staff dressed in suit with the feel of the evening. The no fuss food, It was what is was. Jerked meats and pickled onions, with a few jams and chutneys. At a very reasonable price too, the jerk was perfectly salted to go with the bitter ales. I picked up the chili jerk which I didn't think would have too much of a kick since I thought I could handle my chili. Well, I was wrong. This stuff is pretty firey, so I'll be eating that slowly. Ha! The pictures may not look like much, but remember this is a society run event. So for that, it was pretty awesome. Especially after having a few 'Rum Tiddly Tums' which was an 8% cider, which was very sweet and had a vodka after taste. Brilliant. We all left pretty merry and smiley. Have you been to anything similar? What are you university societies like?